Welcome to my Website! If you’re looking for a Board Certified professional massage therapist, you’ve come to the right place. I specialize in working with clients who experience pain in their necks or backs that maybe cause by a muscular imbalance brought on by an injury, poor posture, or too much time sitting. 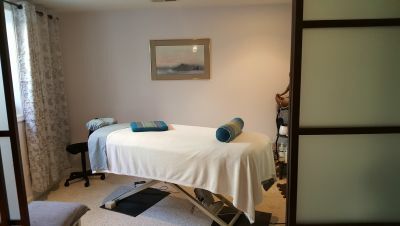 Let me work with you and create a massage plan that is based on my knowledge that will help you reduce your aches, pain, stress or tension and relax tired muscles, thus improving circulation and restoring balance to your body, mind and soul. I invite you to click on the following link Schedule Now, my 24 hours online scheduling service to make your massage appointments. I will call you back to confirm the details of your appointment, and also answer any questions you might have.